Brendon Urie has had quite the glow up. When his band, Panic! At the Disco, formed in 2004, nobody ever would have guessed that the name would be on the lips of everyone from punk rock kids to presenters at the Grammy Awards. The band has gone from opening act to headlining arenas in what, really, amounts to just 15 years, and with a few lineup changes, it’s safe to say that the band’s only constant, frontman Brendon Urie, has become its face in recent years. With that came a choice to really dress the bit, and it definitely shows. I don’t want to spend the whole of this article giving Brendon the Gerard Way treatment by going through each of the band’s eras, I do want to highlight where he was stylistically at the start to give some context as to just how impressive his style transformation really has been. Is this hooded wool sweater look insulting? Not inherently, but it isn’t exactly pretty either. It’s also very much in keeping with the general aesthetic of rock music in 2006 - everyone always looked cold and damp, no matter the weather. Either way, contrast that with the cover image above, and you’ll see pretty quickly what I mean. His style has very much been refined the more the sound of the band ventured into the world of pop, but even Panic!’s definition of pop is a bit off-center. It’s very much the kind of pop that The Beatles were back in the day - it was rock and roll, but because people liked it broadly, it became accepted as part of the mainstream. Where The Beatles got weird as they went on, though, Panic! did the reverse in many ways, starting off with a more avante garde vibe (their second record is literally called Pretty. Odd.) and slowly adding more elements that are traditional to mainstream music as we know it. So what about his attire now, then? Well, it’s all very rooted in a few key pieces, upon which there’s a ton of variation. Suits or blazers play a huge role, as do button ups, and the odd pair of leather pants (okay...maybe the leather pants are more common than I would consider reasonable, but to each their own). He actually doesn’t do all of this work on his own - he has a stylist by the name of Anthony Franco who’s designed looks for the likes of Janet Jackson and Boyz II Men in the past. Franco wanted originally to highlight Brendon and the band’s Vegas roots and mix that with Brendon’s preference for anything shiny, velvety, and vibrant. Let’s take a look at a couple of those key items, then, and how they can be incorporated into your own closets, cool? In this look here, we have two distinct pieces that I want to highlight. The first is the gold patterned, peak lapelled blazer, which is a really fun, different, and ultra-showy choice to make but one that fits very well into Brendon’s style as a true performer in the vein of a Sinatra or even, dare I say it, Freddie Mercury. You could very easily go with a blazer such as this one from ASOS, one that’s technically copper in color, but mimics the golden sheen of the one worn by Brendon. It’s definitely loud, and I’d argue not for the faint of heart, so I think you’d be in just as adventurous a position going with any kind of blazer of jacket in a material, pattern, or color you typically wouldn’t. It’s very much about the experimentation when it comes to jackets, so if you’re constantly wearing black, navy, or gray, then perhaps consider something in dark green or even white or tan to offset everything. One of the first things I noticed when I got my pair of DSTLD jeans is the sort of shiny appearance the raw denim has before its broken in. 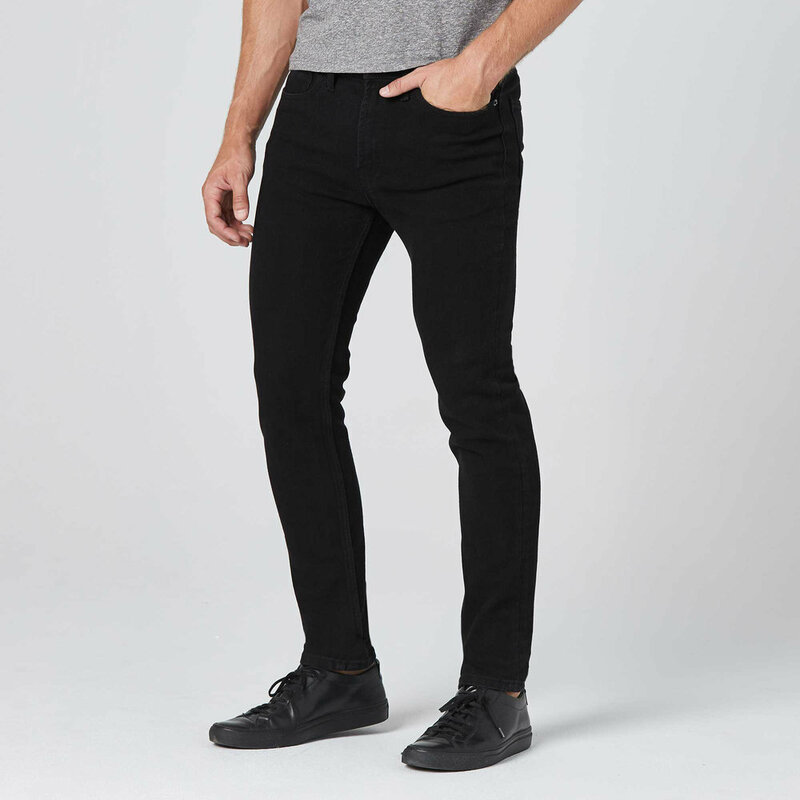 This pair, their skinny fit in jet black, is definitely going to give that same kind of look of a pant that’s a bit shiny, but with the added benefit of being a kind of trouser that can be worn outside of the context of a rock show. That being said, if you decide you want to channel some of Brendon’s penchant for louder than normal footwear, check out this option from the brand River Island, which features brogue patterned toes and velvet on the back half of the shoe. So to sum it up, Brendon’s glow up is a pretty significant one, and while much of it is the result of a talented stylist, the man still has plenty of influence in what he wears, so it’s clear that his taste has evolved plenty. The lesson here that you can take into your own wardrobe? Be adventurous with pattern or materials - you never know what might stick. “The Ballad of Mona Lisa” - This one has one of those explosive choruses that just completely sticks with you, and you will very likely find yourself humming it for a bit if not actively trying to hit some of these notes when you think nobody’s paying attention. “Bohemian Rhapsody” - There are some songs you just don’t cover, and if this were anybody else, I’d agree that this is one of them. But Brendon channels everything that made Freddie’s vocal performance so captivating while also giving it some of his own flare. Truly one of the band’s most shining moments. “Don't Threaten Me With a Good Time” - It’s got one of the most fun titles to say out of any in the Panic! catalog, and it samples the riff from “Rock Lobster”...what else do you need to know?